Product information "Superstar Facepaint Minty color 215"
This very user-friendly water Face Body paint is of very good quality. The colors are pretty bright, the facepaint works well and is good to remove. A thin layer of Superstar bodypaint is enough to set a beautiful covering base. The facepaint dries up quickly and does not turn off. The matte colors are ideal for shrinking the base and putting lines. Because the shiny shimmer shimmer are a bit softer, they are very suitable for shrinking the base of your creations. Superstar water face & body paint can be used with sponge and brush. If you use a brush make it wet and activate the facepaint just as you would with watercolor. For the use of the facepaint with a sponge you have 2 options. You can wet and squeeze the sponge after which you squeeze the sponge over the bodypaint to load it or use a spray bottle to wet the facepaint and then work with a dry sponge on the bodypaint. Removing the facepaint of the face goes well with water and soap, but you can also use baby lotion wipes or makeup remover wipes / lotions. For any reason, do not remove the bodypaint! By boning the skin is irritated and that does not feel comfortable. 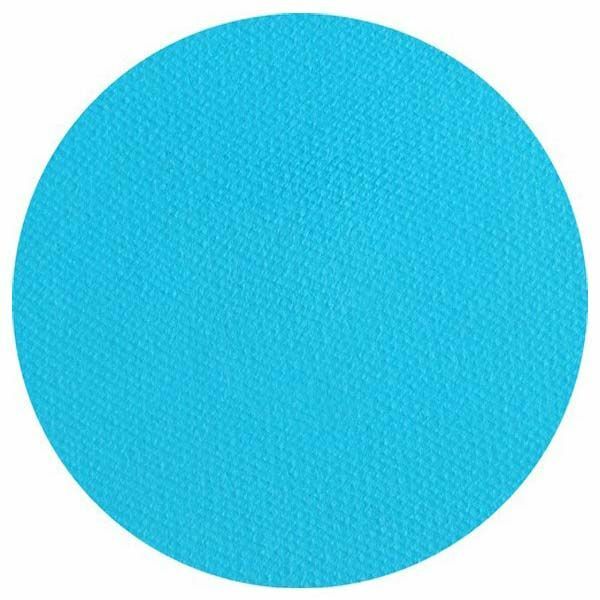 Related links to "Superstar Facepaint Minty color 215"
Customer evaluation for "Superstar Facepaint Minty color 215"
© 2006-2019 Partylook® All rights reserved.